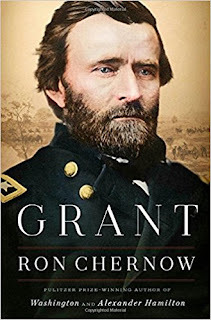 The first order of business, Grant concluded, was to restore health and troop morale by prying open a new water and land route to bring in food from the key rail juncture at Bridgeport, Alabama. The Union army controlled the railroad all the way from Nashville to that spot. The new route would be nicknamed the “cracker line,” a tribute to the hard biscuits munched by the men. Smith and others had devised a plan to seize control of the serpentine Tennessee River at a point north of Lookout Mountain. Supplies would be taken by a direct wagon road to a spot known as Brown’s Ferry, shifted across the Tennessee by pontoon bridge, then moved across a spit of land known as Moccasin Bend. However tortuous this route seemed, it promised a much shorter road to Bridgeport than the forbidding, rocky mountain road now inadequately serving that purpose. Grant, Thomas, and Smith inspected Brown’s Ferry and confirmed that it stood well beyond the range of powerful Confederate guns staring down from Lookout Mountain.